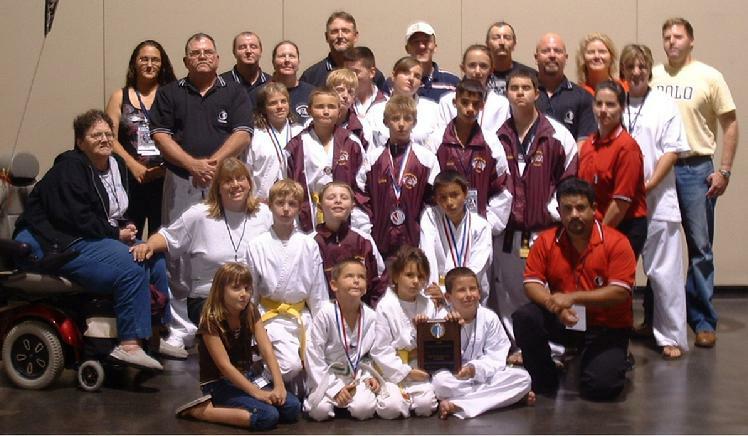 Team PAKS Brings Home Boat Load of Medals From Tournament in Kansas, ONALASKA, July 14, 2008 - PAKS Martial Arts of Onalaska just returned from a martial arts tournament in Overland, Kansas. The event was the 2008 U.S.S.S.A. Nationals. The tournament was very rewarding for this local school as team PAKS raked in a total of 45 medals (18 Gold, 14 Silver, 13 Bronze). "All of us here at Pak's Martial Arts in Onalaska would like to thank Sonic, Brookshire Bros, Sayco Hardware, Morrison Supply Co. of Lufkin and all our parents, family, and friends for donating their time and money with out everyones support we would not have had a sucessful trip. Once again we here at Pak's martial arts in Onalaska would like to say thank you."